Published by the American Geophysical Union as part of the Geophysical Monograph Series, Volume 128. In the summer of 1963, when a group of Japanese scientists arrived at the aged building of the Hawaiian Volcano Observatory, run by the U.S. Geological Survey, there began a program of cooperation and friendship between American and Japanese volcanologists that continues to the present. The late Professor Takeshi Minakami, a top volcano-physicist long involved in research at various volcanoes, including Asama, then the most active volcano in Japan, led the Japanese group. The time coincided with a changeover in Hawaii, from the pioneering volcanologic studies of Harold Stearns, Gordon Macdonald, and Jerry Eaton to more comprehensive research by younger volcanologists. The Japanese team was also fortunate enough to witness a rift zone eruption at Kilauea volcano (Alae eruption, July 1963), a direct, eye-opening encounter with a volcano plumbing system in action. 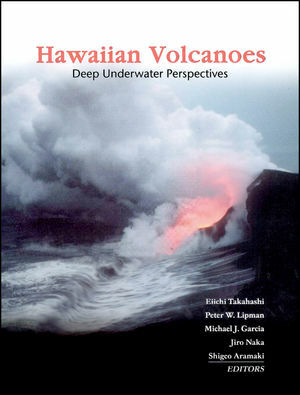 Eiichi Takahashi and Peter W. Lipman are the authors of Hawaiian Volcanoes: Deep Underwater Perspectives, published by Wiley. Section 3 Giant Landslides in the Northeast of Oahu: When, Why and How?